The Gorgeous Charli XCX Performed At The Jingle Ball 2014 Pre-Show! Pics Here! Charli XCX performed at Z100 & Coca-Cola All Access Lounge at Z100’s Jingle Ball 2014 pre-show at Hammerstein Ballroom in New York City on December 12, 2014! 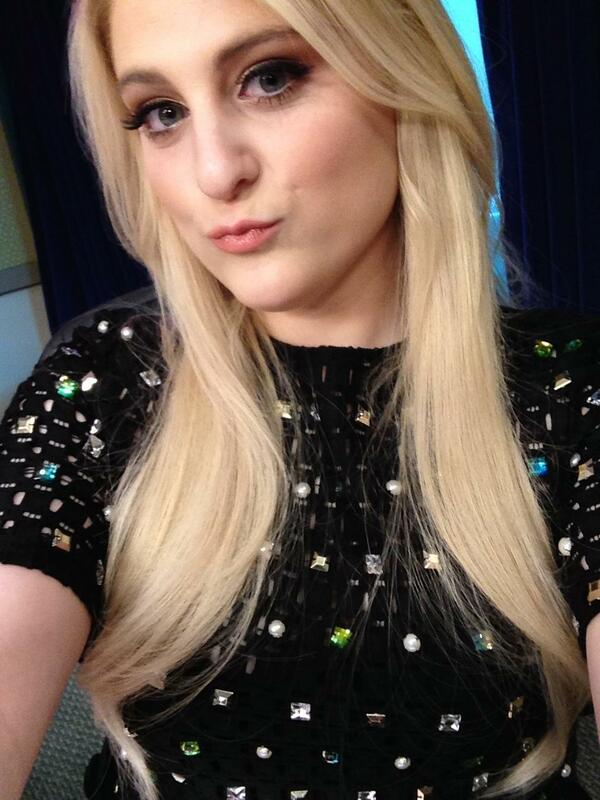 Earlier, she visited Z100 to talk to Elvis Duran! For more Charli XCX pics, check out the pics below! Kiesza Gives An Illuminating Performance At The Jingle Ball 2014 Pre-Show! Pics Here! Kiesza performance lights up at Z100 & Coca-Cola All Access Lounge at Z100’s Jingle Ball 2014 pre-show at Hammerstein Ballroom in New York City on December 12, 2014. 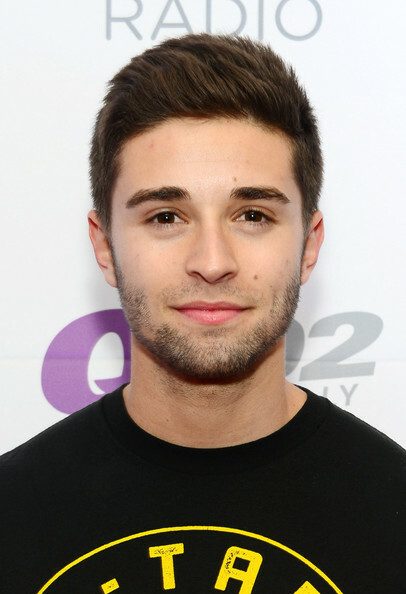 PHOTOS: Jake Miller Looked Good At Q102 Jingle Ball! Rapper Jake Miller looks so laid-back in his “Wu-Tang” shirt as he attended, and performed, at Q102’s Jingle Ball 2014, presented by Bernie Robbins Jewelers at Wells Fargo Center yesterday, December 10th in Philadelphia, PA. Check out more pics of Jake below! 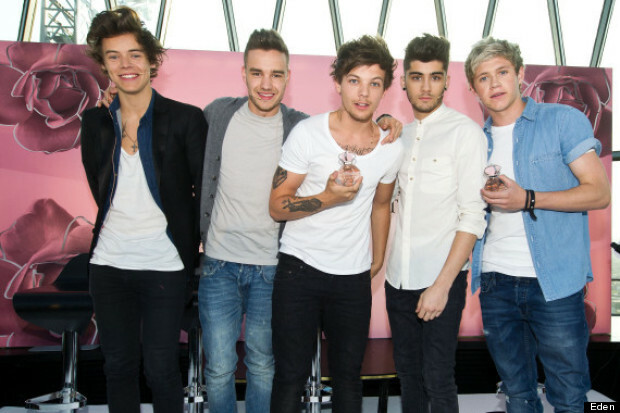 Win A Chance To See One Direction At The BBC Music Awards! Okay, UK Directioners! It’s time for you to enter to win a chance to see One Direction perform at the BBC Music Awards in the UK on December 11th! UK! This year the guys will be performing at the #BBCMusicAwards and you could see them if you enter today’s #WWADVDChristmasGiveaway on FB! Check back with us for more details! Bella Thorne To Perform In “Shall We Dance on Ice”! (September 4, 2014) Bloomington, IL. The US Cellular Coliseum and Disson Skating are pleased to announce Bella Thorne as the special guest artist who will perform in “Shall We Dance on Ice” coming to Bloomington on Tuesday, December 16, 2014 . This previously announced event will showcase a journey of dance through the ages with dancing and skating. Music and special effects will create the segments of time and genre of dance, which will be performed by dancers and transition into elegant productions on the ice. Bella Thorne is an American teen actress, singer, and dancer. She is best known for her role as CeCe Jones on the Disney Channel original series “Shake It Up.” In the spring of 2013, she released her first single entitled Call It Whatever. Most recently, Bella co-starred in the 2014 comedy Blended, along with Adam Sandler and Drew Barrymore, playing Sandler’s character’s daughter. She will be seen next in Alexander and the Terrible, Horrible, No Good, Very Bad Day, which is an adaptation from the popular children’s book of the same title, and will hit the big screen on October 10. Bella will also have a major role in the new CBS Films’ movie THE DUFF, with a release date currently set for February 20, 2015. She has won several Young Artist Awards for her work on TV, and is an ambassador for iDecide, which is an organization that encourages teens to make smart decisions regarding alcohol. Bella Thorne will premiere her new single “Jersey” in the show finale with all of the skaters from her new album that is due to come out later this year. The “Shall We Dance on Ice” cast includes current and former professional dancers from ABC’s Dancing with the Stars, Maksim Chermkovskiy, Sharna Burgess, Dmitry Chaplin, Chelsie Hightower and Louis Van Amstel. The ice dancing cast includes 2014 Olympic Champions Meryl Davis and Charlie White, along with eight other top ice dancing couples. Ticket prices range from $45 to $75 (does not include applicable fees and taxes) and are on-sale now. For information about the show, visit http://www.uscellularcoliseum.com or call the box office at 309-434-2679. 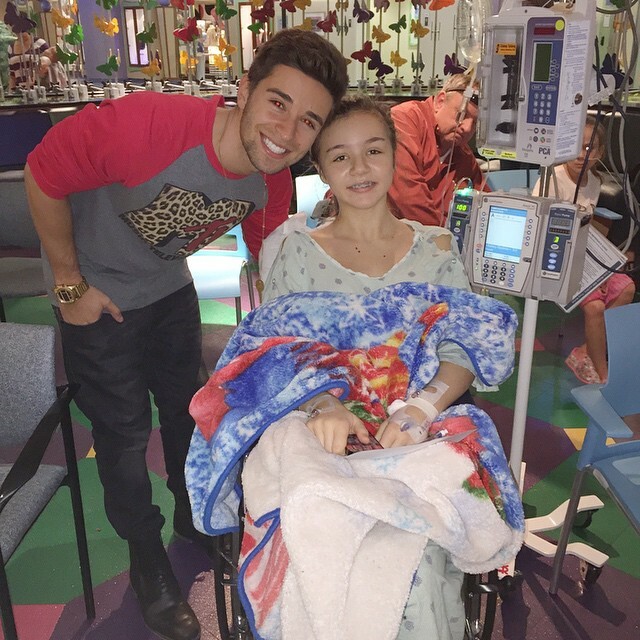 Jake Miller Visits Vanderbilt Children’s Hospital! Jake seems to really care about his fans! What a great guy! Charli XCX Goes Varsity At NYLON Mag’s IT Girl Party — See The Pics! “Boom Clap” singer Charli XCX attended and performed at NYLON Magazine’s IT Girl Party on October 6th at Gilded Lily in New York City! Charli took on a punk/jock style with a black and white varsity-type jacket, short black dress and long black heeled boots. Doesn’t she look absolutely gorgeous? Who else do you think could pull of this look? Check out more pics of Charli at the IT Girl Party below! 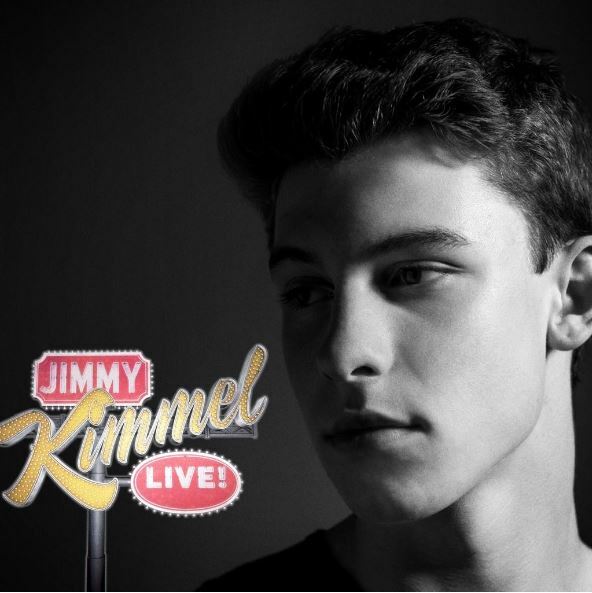 Check Out Shawn Mendes Performing On ‘Jimmy Kimmel Live’ Last Night!! Rising music artist Shawn Mendes appeared on Jimmy Kimmel Live last night, September 3rd and performed his hit single “Life of the Party”. Check out his awesome performance in the shared video below! !